On Tuesday (day 9) I wore my floral Renfrew tee to a work conference (where comfy clothes are a must). Friday (12) was my next me-made wear and I had my starry Scout tee on with some cropped work trousers. On Saturday mooching around the house (see the scruffy hastily tied back hair) I wore my Bailey cardigan, and my Show Off Stranded Socks… which I failed to photograph. On Sunday (day 14) I wore my self striped socks and a whole bunch of RTW things. So once again, work clothes seem to be my gaping me-made wardrobe hole… I’m noticing a pattern here. But I’ve also noticed that I don’t have much in the way of transitional weather clothes. 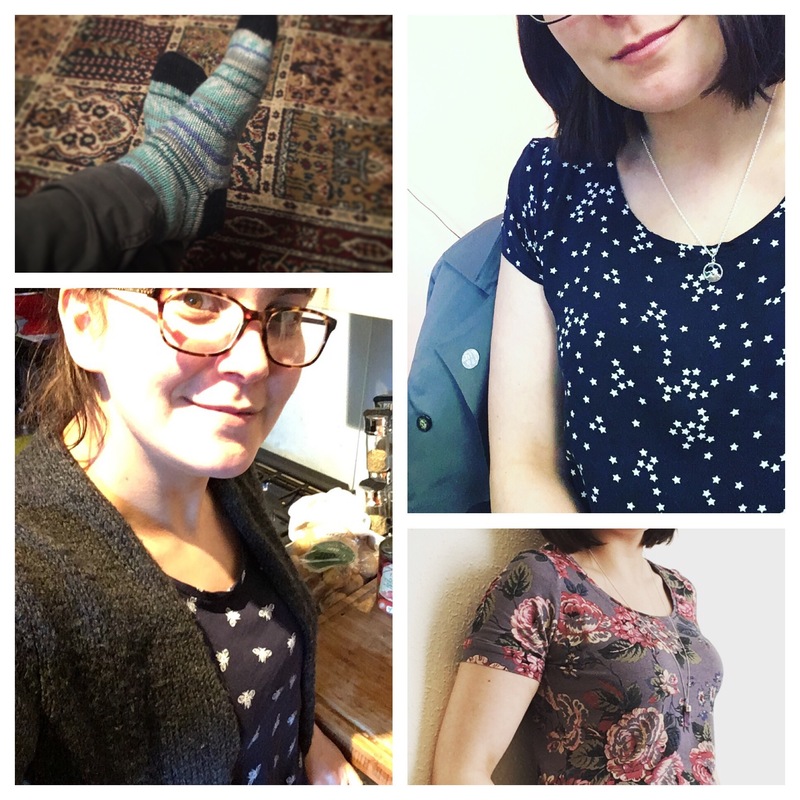 Summer clothes, check… winter, check and check… autumn/spring, not so much! And of course a shout out to my reliable Luzerne jacket which makes every day a me-made day!